Can you believe it's already December? DECEMBER. This year has gone so quickly. I know it seems that every year people say this but for me 2016 was quick. This is probably because this year I graduated from university so the year was a kind of countdown to the end. And when you don't want something to end it usually goes extra quick. Why can't the hours at work go this quick?! 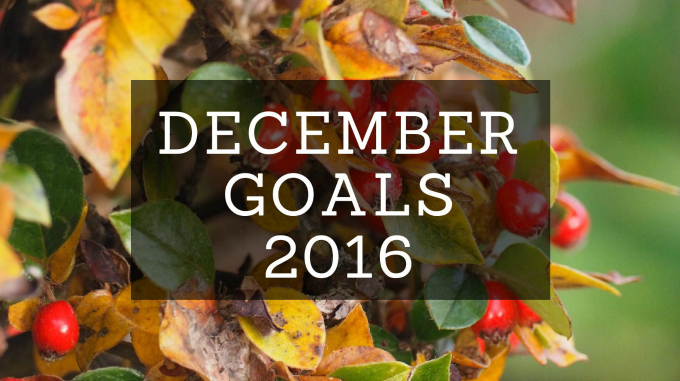 So like in November I've decided to set myself some goals for the next month to help keep me motivated and productive. The first two goals need little explanation. This third goal is something I've been trying to get the hang of. I've only had two shifts so far so am still learning everything but the main thing I want to master is the till. It's quite an old fashioned till so really isn't that complicated but I always seem to forget to press one of the buttons because I'm too focused on the customer and taking down the correct order. It doesn't help that I get extremely nervous serving people so I become a bit stupid and do things wrong. Hopefully, the more I practise the better I'll get! In my November Goals I set myself the goal of beginning the 30 day shred. That never happened. So this month I've decided to be less specific and just have the goal of doing exercise (preferably everyday) whether that's a small workout or my walk home from work. When I go travelling I usually do a scrapbook about my trip when I return home. However, on my interrail trip I decided I'd journal as I went. This started well and I managed to document a lot of my journey but then I kind of ran out of time. Well rather I chose to do other things when I could be doing my journal. Mostly I chose sleeping. Now I'm left with a half finished journal. I really need to finish it by the new year so I don't forget what happened on the trip. It would be great to look back in a couple of years at a finished journal and not one with random blank pages. As usual I'll let you know whether these goal are achieved in a post later on in the month. Seeing as it's December I'm also planning on doing a few reflective posts about the year as a whole. I'm thinking I might do a general one and then a travel one. 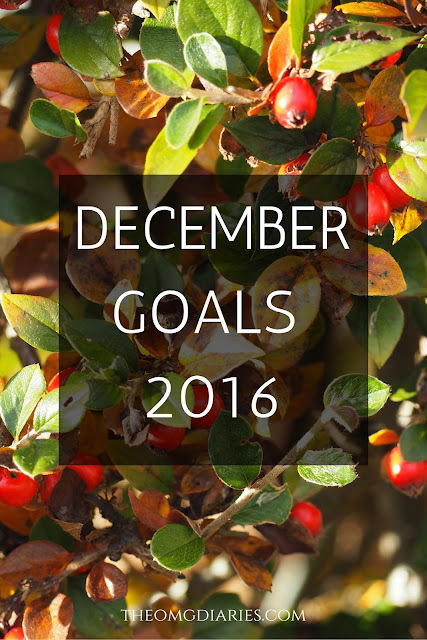 Do you have any goal for December? Lovely post, thanks for sharing! I'm Sophie, a 24 year old, cat loving, teacher currently living in Hong Kong. This is my little corner of the internet where I share posts all about my travel adventures and day to day life. © theOMGdiaries . Design by Fearne .